I'm a former publishing company peon turned grad student/bookseller/contemporary YA writer. I live in Washington, D.C., where I'm a fickle member of the DC NaNoWriMo community. Also, I am not a cat. 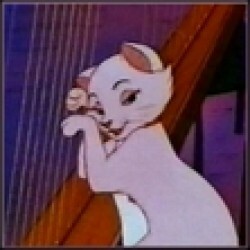 But I do play the harp.